Cable companies are in the fight of their lives. They have cable running alongside 99% of the TV homes of America, and the telcos are far behind. But not for long. Telcos are laying fiber and installing ADSL2+ to millions of consumers’ homes to bring them high-speed broadband and TV channels. To meet this challenge, cable operators are using direct response TV ads–a medium which they own and which is, as a result, very inexpensive for them. This medium, however, may be one reason why cable is feeling the heat in the broadband battle. A second problem is price. AT&T and Verizon have aggressive broadband pricing strategies with rates about $15, compared with cable rates of $50 or more. Of course, cable broadband is usually faster, but most consumers either don’t know that, or don’t appreciate the difference. 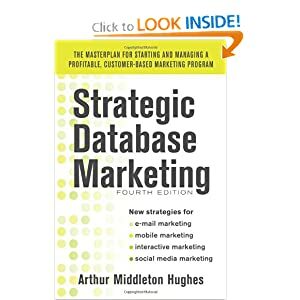 A final reason why telcos are competing so well is that they are using advanced database marketing strategies. They have built customer marketing databases with appended demographics and behavior. They are using advanced analytics to predict which customers have the highest lifetime value, and are most likely to defect to cable. They use direct marketing to target these households with seductive offers. The response rate to direct mail is almost 50 times greater than the response to a TV ad. The cost of landing an order is more than 18 times higher. Why? Because with direct mail, the telcos don’t mail to everyone. They use their database to mail only to those shown by analytics as most likely to respond and buy. Cable companies, using direct response TV have to send their message to everyone, and talk on the phone to whoever responds–many of whom are unlikely buyers. Selling broadband by TV ads alone is false economy. Worse than the high cost per sale is the fact that the TV ads are wasting valuable time–time that cable operators cannot afford to lose. Every day frittered away through ineffective marketing methods is a day that the telcos gain in their quest to build fiber or ADSL2+ to every American household. Once phone companies can offer comparable TV service with 100 channels plus fast broadband to every U.S. household, it may be too late for cable to catch up. The game may be over. Some cable companies have gotten religion. They are building customer marketing databases and doing the analytics necessary to select the “early adopters” from their cable subscribers. They are continuing to run their TV ads, but supplementing them with targeted direct marketing in a race to win.